Accounting software can be described as a type of application software that businesses and enterprises use for the purpose of recording and processing of accounting transactions with the functional modules like accounts payable/receivable, journal, payroll, trial balance and general ledge. Accounting software function as an accounting information system in an organization. They are used for detailed and organized tracking of transactions and instant reporting and analysis and for the management of accounting operations. 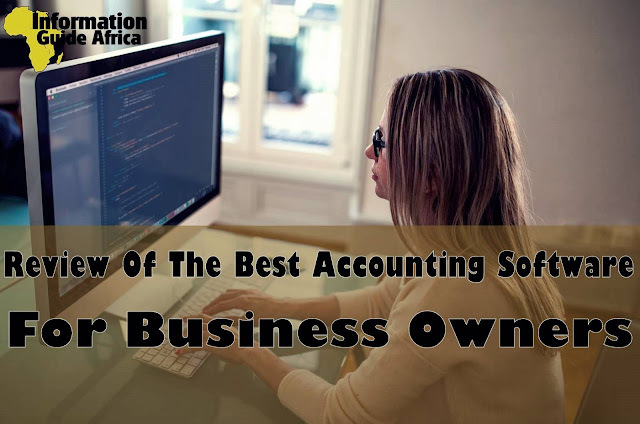 These accounting software are very essential to businesses irrespective of countries, whether you are in the United States, Canada, Nigeria, Ghana, Zambia or even Australia. The software range from the simple programs used for recording individual transactions to the more advanced doubly entry software. The single entry software can also be called the single entry program. If you have a small and medium sized enterprise, that is a business 10 to 249 employees, then it'll be best for you to choose from any of the programs listed in this article. - Accounting software are more secured than the manual ones because you'll give access and passwords to only trusted members of your organization. - Performance of tasks are generally done faster with accounting software when compared with the manual ones. - When performing calculations, the accounting software tend o be more accurate than the manual accounting system and also gives better rooms for the checking and verification of tasks. - Accounting software can perform the roles of many people at a time, so this tends to reduce the amount of money that will be spent in hiring workers. - With an accounting software, calculation and analysis of financial transactions are done more efficiently, making the calculation of tax easier and more accurate. This is an accounting software that suites well for small- to medium-sized businesses using the Microsoft Windows operating system. It was initially coded with the Visual Basic for Applications and operated as a Microsoft Access application, however the current version is coded with C# programming language and no longer requires Microsoft Access. One of the benefits of the Traverse software is it's flexibility which allows it to be personalized for each employee. The transverse software also integrates data with other applications and databases like third-party websites and apps making it more efficient. With it's headquarters in Canada, Wave provides a suite online software and financial services for small businesses. One reason Wave's accounting tools are popularly used is because of it's pricing, they are all 100% free and accountant approved. The tools are also secured and made specifically for consultants, entrepreneurs, freelancers or any other person that needs it. SAP [(Systeme, Anwendungen und Produkte in der Datenverarbeitung) (System, Application and Products)] with its headquarters in Germany, SAP provides accounting services to more than 300,000 customers in over 180 countries of then world, making it the third largest software and programming company (2016). Founded in United States of America in 1998, Net Suite provides software services to help manage operations, customer relations and business finances. So far, it is used by over 40,000 organizations around the world because of it's ability to provide users with real-time visibility unlike some other traditional accounting software. On June 2014, Net Suite was listed in the Forbes list of 'Most Innovative Growth Companies in the World'. This is a premium accounting software for Mac, offering a complete and easy to use accounting solution for small businesses around the world. It is a speedy accounting software that is filled with a wide and comprehensive range of features and functions. It also verifies and backs up your companies' files. It'll help you to manage sales from any internet enabled device. You can also add users with workstation licenses and integrate with Checkout Point of Sale for Mac. Zoho Office Suite is a web-based online office suite that was developed by ZOHO Corporation (formerly AdventNet Inc.) an launched in 2005. Aside providing accounting services, it also provides software like spreadsheets, word processors, presentations, note-taking, databases, customer relationship management (CRM), wikis, web conferencing and project management. The application uses an open application programming interface to run its Sheet, Writer, Creator, Planner, Show and Meeting products. Its plugins are available on Moxilla Firefox and software like MS Word and MS Excel. A United States based cash-flow management software system, it is being used by many financial institutions for the provision of internet banking services to businesses. It serves as a control and command dashboard for cash flow in business firms. The software also offers integration or sync with other accounting software packages like Intacct, NetSuite, Xero, and QuickBooks. With its headquarters in New Zealand and offices in US, UK, Australia, South Africa, Canada and many parts of Asia, Xero provides businesses with a cloud-based accounting software platform that suites well for small and medium-sized enterprises. Xero is widely used in over 180 countries of the world and its key features include invoicing, automatic bank and credit card account feeds, fixed asset depreciation, standard business and management reporting, expense claims and purchase orders. The software can also automatically import bank and credit card statements. Oracle Financials Accounting Hub (FAH) is a software that lets its users create detailed, reconcilable and auditable accounting varieties of source systems efficiently. Also included in it is a transformation engine for accounting which is fitted with extensive differentiation with accounting and rules repositories. The software helps customers to manage global business environment complexities. It is a software for managing businesses. It is a subscription based product and its published by Sage Group, a United States company. Sage software is a nice choice for your accounting tasks as it easy to use and also affordable. It also provides its users with the ability to manage their income and expenses. Another great advantage of this software is that it gives its users the ability to calculate VAT returns to HMRC and also submit it. This is a small business accounting software that makes everything easy for its users. It's simple to use and less stressful because it brings clarity to businesses and tracks expenses accurately and quickly. Categories and notes can also be added to the software. its used for proposals, invoicing and many more. Smartsheet is a software that was developed by Smartsheet Inc. It's used for work management and collaboration. Its features include tracking of project progress, management of calendars, sharing of documents, assigning of tasks and management of other works. The software is available in English, Spanish, Japanese, Portuguese, Italian, French, Russian and German. Trello is a US based accounting software that was created by the Fog Creek Software in 2011 and later sold to Atlassian in 2017(January). It is used by over 20 million people in the world because of its flexibility. Trello’s boards cards and lists, help its users to prioritize and organize their projects in a fun, flexible and rewarding way. It is designed in such a way that updates on current projects are shared so that everyone working in an organization knows what is going on at any stage. Since its initial release in 1998, GnuCash has been the choice of many organizations because of its easy installation process. It is an accounting program that uses a double-entry bookkeeping system for recording transactions. The software is available for Windows, Mac OS X, Linux, Windows, and Solaris. Compiere is an open source free ERP and CRM business solution. it provides a modern, low cost and highly adaptable solution to small and medium sized businesses in retail, service, distribution and manufacturing. Although its basic components are free, you might have to upgrade to use additional features. It also supports multi-currency transactions, allows customization based on specific accounting standards and tax laws. The software works in Windows, Linux and Max computers. Microsoft Dynamics help businesses to gain full control over their business intelligence information, inventory and finances. It was developed by the Microsoft Corporation and marketed through a network of reselling partners that provide the clients with specialized services. Quickbooks was developed in 2018 by Intuit and it operates with OS Microsoft Windows and macOS. It's setup is very easy and it can also automatically carry out accounting tasks. In addition, it comes an auto-fill function which helps to import data quickly thereby helping you to generate documents like vouchers and invoices quickly. With its headquarters in the United States, the Red Wing Software was founded in 1979 as an agricultural software developer and distributor. However, it has grown over the years and can now accommodate other businesses. The software helps in developing and distribution of payroll and accounting software for medium sized enterprises. Previously known as Intacct Corporation, Sage Intacct is an American provider of Financial services and management that was founded in 1999. However, it was sold to the The Sage Group PLC for US$850 mil. in 2017. The software is delivered online via cloud computing and its functions include contract management, inventory management, accounting, vendor management, project and fund accounting, financial reporting applications and financial consolidation. This is a double entry and ERP accounting system that stores its accounting data in an SQL Database Server and a standard web browser can be used to access its user interface. It is widely used by shops and stores which need inventory management, purchase orders, vouchers and packing lists. It has both free and premium versions and work in any Unix-like system including Windows and macOS. CYMA Accounting Software helps in the provision of the perfect accounting software solution to help growing mid-sized businesses. It provides a user flexible interface and gives chance for maximum flexibility. Priority Matrix is a software application for time management. It was developed by the Appfluence LLC in 2015 and licensed by Proprietary. It works on Windows, macOS, iOS and Android devices. It helps its users to maximize their effectiveness by categorizing the tasks in the order of how long they take and also the impact of completing them. Fresh Books is a web-based software for accounting that offers simplified steps for carrying out tasks such as printing of documents, sending of invoices, price quotes, sharing of business reports and more. It was founded in 2002 by Mike McDerment and its headquarters is in Canada. So far, more than 1.6million accounts have been created on the platform. AccountMate Software Corporation is a provider of modifiable source code accounting software and business management solutions for small and medium business enterprises. Since it was first founded in 1984, it has contributed a lot in making financial transactions easier than it was before its introduction. It supports both single user interface and multiple user interface making it a great choice for businesses. The software is available for local installation or as SaaS. Odoo is an all-in-one management software that provides businesses with a wide range of business applications from ERP to CRM, eCommerce and CMS. It was developed by Odoo S.A., Community and released on October 4, 2017. The software functions on Windows, Linux, OS X, Unix-like, iOS and Android. The Turbo Cash software was developed in April 1985 by a team of South African developers but was released under the General Public License (GNU), in July 2003. It works in the Windows operating system and its a great choice for small and business enterprises. 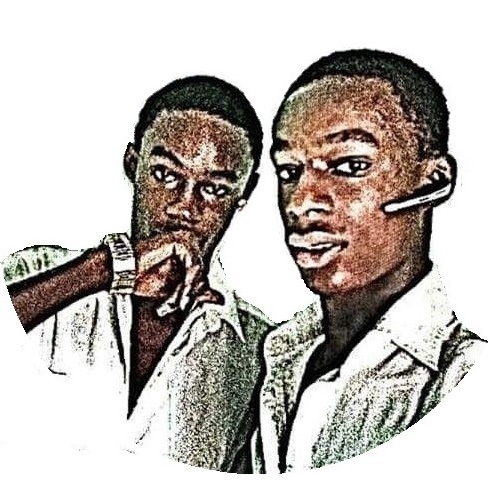 Moreover, it was founded in Africa. Some of its amazing features include inventory management ability, pricing/quoting of stocks, point of sale, VAT computation, barcodes, reporting analysis and invoices. PostBooks is a free accounting and enterprise resource planning business system that was released under the CPAL license. it is an open source software that is geared toward small to medium-sized enterprises.